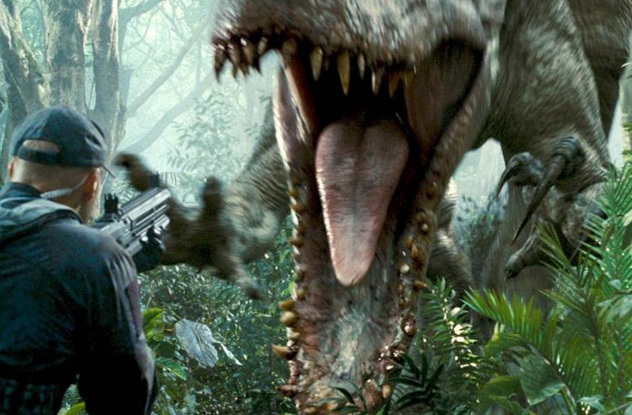 Jurassic World took the world by storm with even more primeval force than the very first movie. And while it may seem like it’s impossible to walk two feet without encountering toys, T-shirts, and other promotional tie-ins, there are many secrets about Jurassic Park and Jurassic World still waiting to be dug out from the ground. 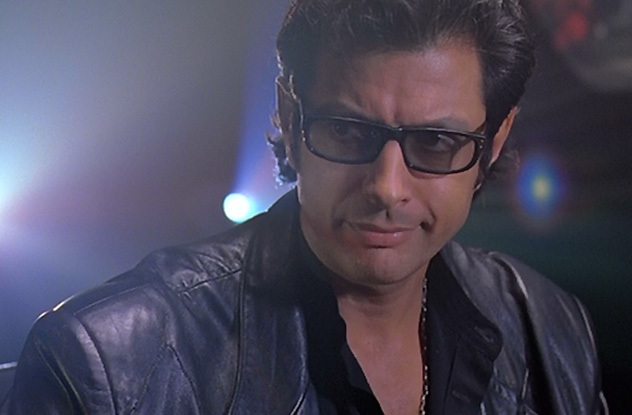 Chaos theory–spouting Dr. Ian Malcolm, played quite memorably by Jeff Goldblum, is a fan favorite from Jurassic Park. From flirting with Dr. Sattler to warning Hammond repeatedly that the park was a bad idea, it often seemed like Malcolm was channeling the thoughts of the moviegoers. What many don’t know, however, was that he is really channeling the thoughts of Jurassic Park author Michael Crichton. This point of view is expressed by Malcolm, the outsider who points out the dangers of unchecked and reckless research. To help visually drive home the point, Malcolm is dressed all in black, symbolically in opposition to the vision of park creator Hammond, who is dressed all in white. 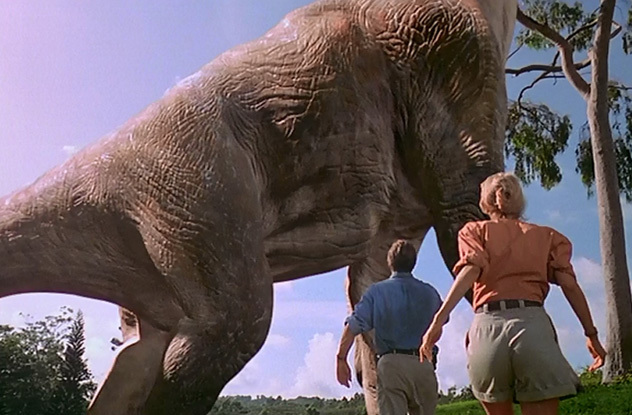 Jurassic Park is fondly remembered by many fans as a synthesis between computer-generated and practical effects, which created a world much more vivid and lifelike than the wholly CGI landscapes later seen in the Star Wars prequels. What many fans do not know, though, is that Jurassic Park receives credit—and blame—for the rise of CGI. Originally, director Steven Spielberg envisioned a film using stop-motion dinosaurs, simply asking the technological pioneers at Industrial Light and Magic (ILM) to add some blur effects. One ILM animator, Steve Williams, secretly devised a computer-generated walking animation, despite knowing it would never be used. That changed when he happened to have it playing when two producers walked in. They were impressed and wanted CGI for the dinos, leaving legendary stop-motion creature creator Phil Tippett to comment to Spielberg, “I think I’m extinct,” a line that ultimately appears in the film. After the world saw what CGI could do, the rest was non-Jurassic history, with the first fully CG movie, Toy Story, debuting two years later. Now, CGI inhabits every blockbuster, but the technology could not now run if ILM’s humble T. rex skeleton animation had never walked on just the right screen at just the right time. The original Jurassic Park garnered many surprise screams from fans as characters ran from velociraptors, the T. rex, and the prospect of hearing Malcolm say “chaos” one more time. However, there was a fair amount of surprised screaming for many involved in the making of the movie, as well. 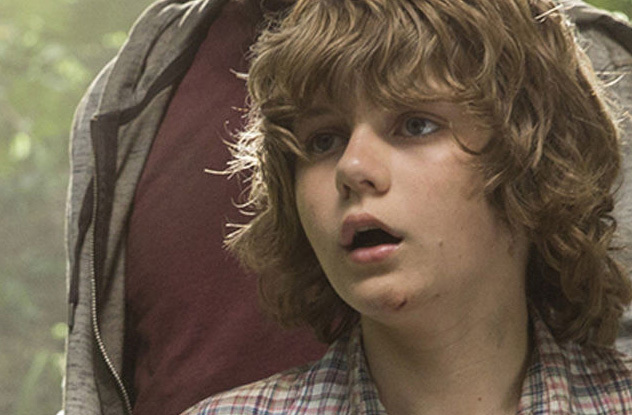 Much of it came from 12-year-old actress Ariana Richards, who portrayed Alex Murphy. She got the role because when Spielberg was reviewing audition tapes, Richards’s bloodcurdling scream woke Spielberg’s wife, who thought their own children were in danger. One of the more famous scenes from the movie contained an authentic scream from the actress. 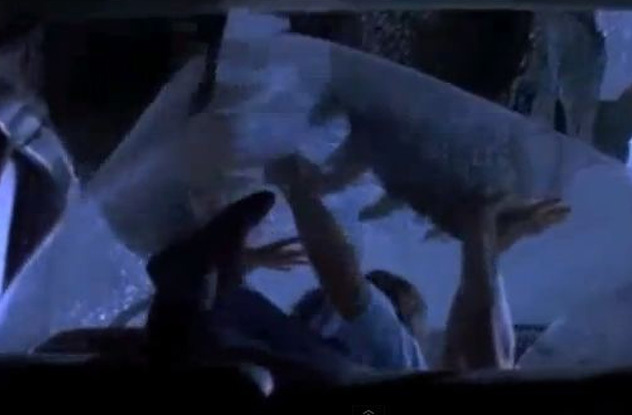 When the T. rex is bearing down on the jeep with the children inside, the glass was not supposed to fall—that happened when too much pressure was applied by the film crew. The resulting dropped glass resulted in very real screams from children who thought their lives were in danger. The true mark of a franchise is to have inordinate numbers of fans obsessing over even minor details and characters. Thus, while many consider Jurassic Park to be the story of Drs. Grant, Sattler, Malcolm, and Hammond, others are all about Nedry and Dodgson. From metal and trance remixes to fan recreations of the scene, YouTube lights up with ultrafans of these two very minor characters. True fans can also order a “We’ve got Dodgson here” T-shirt . . . in dino green, of course. Jurassic World is a very self-aware film, not averse to skewering itself or its past to amuse the audience. One such instance is its portrayal of the mercenaries in the movie. One of them bears resemblance to the “Skinner” character from the original Jurassic Park line of toys. But who is Skinner? The original Jurassic Park was a merchandising juggernaut, with fast food meals and more toys than kids could shake a fossil at. 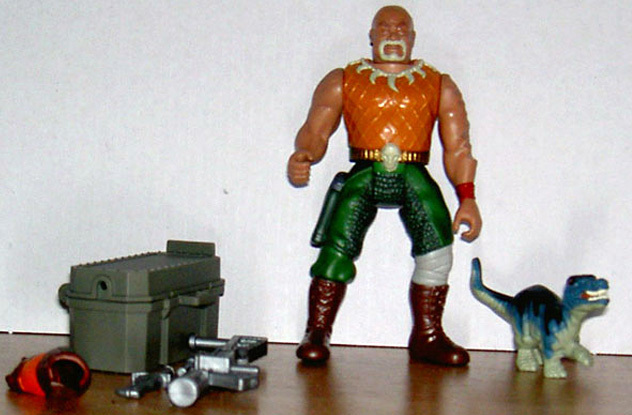 Eventually, toymaker Kenner had a problem: How could they keep making toys of the same old characters they had already released? Granted, they released familiar faces with bizarre weapons, such as Dr. Grant with bola launcher and Robert Muldoon with a “tranq-bazooka,” but eventually, they needed new blood. So, Kenner released “Evil Raiders,” who are criminal poachers invading the island. For the Jurassic World movie, the mercenary who shoots a pterodactyl for no reason resembles “Evil Raider” Skinner as a nod to merchandising gone awry. The final punchline to this is that Hasbro, now the makers of Jurassic Park and World toys, was angry that their own toys were not featured in the movie, not understanding the irony of “Skinner” being brought to life. Recent years have shown us that Chris Pratt is a man of many talents, shifting seamlessly from shifty outsider comic relief on Parks and Recreation to impossibly buff action lead in films such as Guardians of the Galaxy and Jurassic World. However, one unexpected talent of his just might be the ability to predict the future. Of course, the self-deprecation would become reality seven years later as Pratt became the star of Jurassic World. In Jurassic World, Chris Pratt’s character Owen has a special skill: He is a raptor trainer who seems to understand these creatures better than anyone. 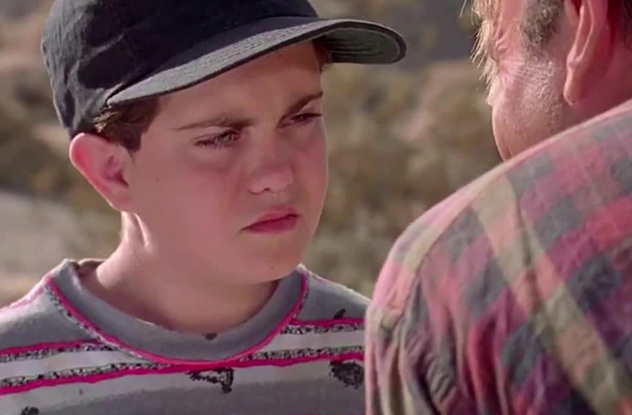 A fan theory made popular by Community creator Dan Harmon holds that there is a reason for that: Chris Pratt is playing a grown-up version of the young boy from the beginning of Jurassic Park who describes a raptor as resembling a “six-foot turkey.” Dr. Grant admonishes the boy to “show a little respect” and, years later, Pratt’s character describes his relationship with the raptors as one “based on respect.” So is this the same character? One person not shying away from the definitive answer is actor Whit Hertford, who played the young man in Jurassic Park. He tweeted “for the record” that Pratt’s character was not a grown-up version and that “that role is mine, dammit!” Of course, the actor had nothing to do with Jurassic World, so the definitive answer remains trapped in Hollywood amber for future explorers to discover. It’s easy to see the amount of product placement in Jurassic World and assume that it is par for the Hollywood course. (“Why wouldn’t such a Hollywood megablockbuster be festooned with more corporate sponsorships than a NASCAR jacket?”) Yet this film mocks the very corporations it profis from. Jurassic World director Colin Trevorrow previously claimed that one of the goals of his movie was to mock the lengths corporations go to entertain the masses, with the principal “villain”—the ludicrously overengineered Indominus Rex—representing consumerism gone amok. The movie extends that metaphor, as the cash-strapped theme park takes on corporate sponsors, some of whom are prominently featured (“Verizon Wireless presents the Indominus Rex“) as an immediate precursor to everything falling apart. So, there you have it: a triple-A Hollywood film raking in corporate sponsorships left and right to make a movie lampooning corporations and consumerism. Then again, they did get rich and build their own corporate brand while doing so . . .
For literature fans, changes from book to the silver screen are commonplace. Usually, this involves shuffling the plot and tweaking the characters—both of which the Jurassic Park movie does—but overall, almost all of the characters are still very recognizable from their literary counterparts. Dr. Grant is professional but protective, Malcolm is the cynical outsider critic, and so on. And then there’s Dr. Hammond. Fans who have only experienced the movie know Hammond as a misguided but kind man who ultimately chose family over pride, seemingly giving up on his park the moment his grandchildren were in mortal danger. In the book, when Hammond hears they are missing, he calmly eats his ice cream and shows no real concern. Later, when the children are found, he berates them for contributing to the failure of Jurassic Park. He is unambiguously the villain of his own book, which author Michael Crichton confirms by having Hammond spouting megalomaniacal nonsense about opening another park right before he is eaten by some of his own dinosaurs. Of course, in the movie, he both learns his lesson and survives and is later honored in Jurassic World through statues, labs named after him, and being quoted by the occasional doomed character. What is the key to a character receiving such an amazing makeover? 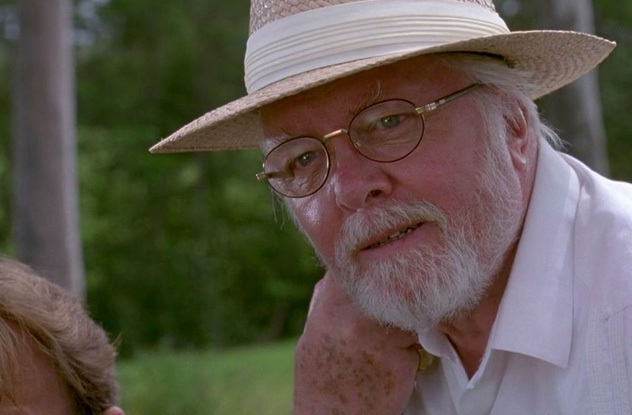 No one knows for sure, but being played by Richard Attenborough in his triumphant return in front of the camera certainly didn’t hurt. One of the odder qualities of Jurassic World is the tendency of the script to bring in a human element and then forget about it. This happens regarding the impending divorce of the two boys’ parents, which is used dramatically in exactly one scene and then never mentioned again. Then the youngest child, played by Ty Simpkins, has a characteristic that is used extensively, yet never mentioned at all: He is autistic. Many filmgoers recognized several signs that his character was meant to be autistic, from his encyclopedic knowledge of dinosaurs to his urge to learn even the oddest facts, such as the weight of the island Jurassic World inhabits. In an interview, Simpkins mentions that the character was originally meant to be autistic, but the creative team “dropped” the idea and settled on making him an “odd” and “weird” kid who is a bit too enthusiastic about dinosaurs. This is doubly strange because his character is still being portrayed as autistic, no matter how the filmmakers choose to publicly characterize the performance. He joins a host of other characters, ranging from Sheldon to Sherlock, for whom it is more marketable to “pass” them as neurotypical. @PocketEpiphany is holding out for a Jeff Goldblum Special Edition of Jurassic World.